And it's not just about eating this holiday season at SM By the Bay! (SPOT.ph) Christmas is the season of giving, sharing, and enjoying the company of family and friends. It's also when we take stock of the year that passed and look forward to what's up ahead. And, of course, Christmas is a time for eating—lots of eating! Food is an integral component of every Filipino Christmas gathering because it unites Pinoy families under the same roof. And what's the magic word when it comes to food during the holidays? That's easy: buffet! Check out these five buffets, all located at SM By the Bay, and know your holiday smorgasbord options as early as now. Take it from the restaurant's namesake: at this place, you can definitely eat like a Viking! Since its opening, Vikings has become synonymous with celebrations, milestones, and special occassions like graduations, debuts, and even wedding receptions. It's for this reason that Vikings' newest concept—Vikings Venue—came to life. 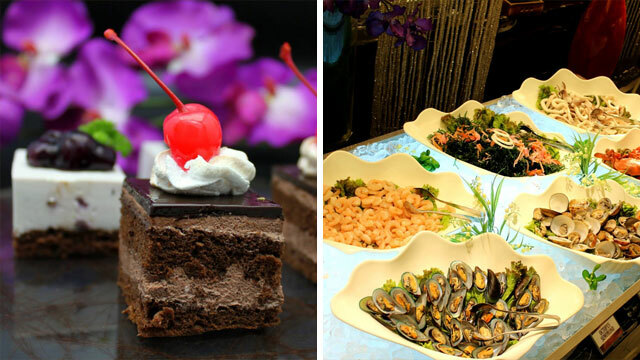 Think of a private venue for your gathering at no extra cost—but with a world-class international buffet as your spread! Have a Christmas gathering coming up that involves 50 or more people? It's never too early to make a reservation at Vikings Venue. They've got a cute-looking raptor on their logo, but don't be fooled, the amount of grilling meats Charaptor offers is as huge as a dinosaur! Charaptor offers a unique eat-all-you-can experience, with a wide range of meats and veggies ready to be cooked over a hot grill. 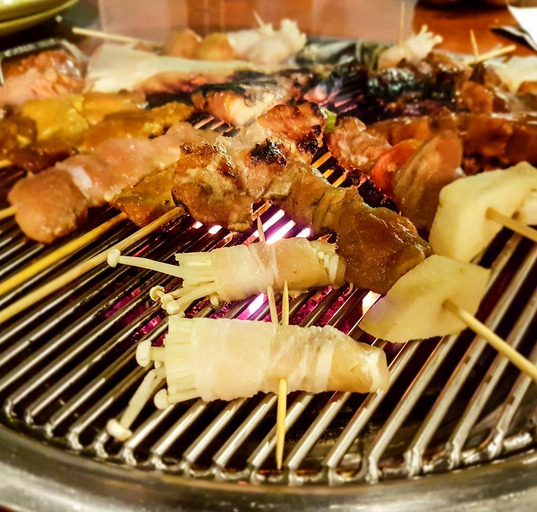 This barbecue buffet experience is great for people who like the concept of cooking at their own tables. The best part: you can just keep going back for more meat! Seafood, chicken, pork, beef, shellfish—even street food specials like isaw and baticolon—it's all available here! Don't be fooled: there's nothing "basic" about the spread at Buffet 101. 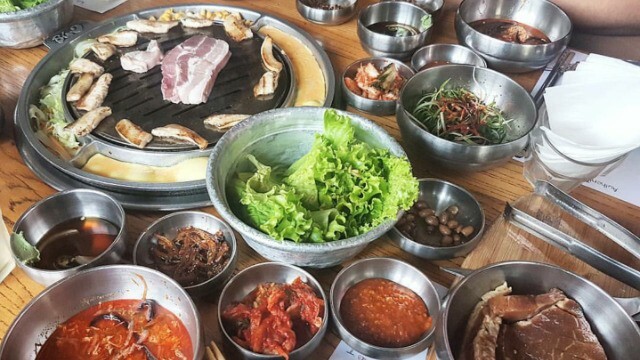 Offering a plethora of dishes from cuisines all over the world, things can get pretty complex in here. The "101" suggests, however, that this place is all you need when it comes to satisfying an eat-all-you-can craving that involves multiple flavors and dish types. The problem at most eat-all-you-can buffets is that, more often than not, you don't know where to start. Buffet 101 takes care of that problem for you because over there, anywhere you start is a good place. The self-proclaimed "Largest Filipino Buffet" does not mess around. 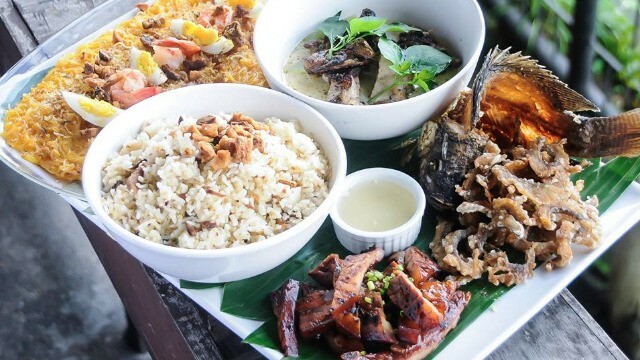 Featuring dishes from the three main island groups of the Philippine archipelago, for Pinoys, this place really embodies the phrase "something for everyone." From stews, to grilled specials, roasts, and even traditional desserts like suman and bibingka, La Fiesta is a Filipino food party on steroids. Take your balikbayan relatives here over the holidays—the food will remind them that they're really home. From the same group that gave us Vikings, NIU by Vikings, and Vikings Venue comes a new buffet concept that's unlike the rest. Set up like a high-end grocery, patrons of Four Seasons Hotpot City can visit any of the seven stations—meat, seafood, appetizers, vegetables, Japanese, dessert, and the bar—collect what they want, and bring everything back to their tables to build a custom hotpot. Four broth choices are available, namely pork, chicken, vegetable, and sinignag. These can be further augmented with a wide range of sauces and seasonings. Four Seasons Hotpot City is a healthy choice that features only the freshest ingredients. Aside from the buffets that are available at SM By the Bay, a whole row of restaurants, offering mouthwatering sweets, local flavors, and unique concepts that will make any holiday gathering a smash. For Filipino fare, head on over to Grilla, Seafood Island, Giligans, The PAD, or Pete’s Place. For a unique dining experience, you can also try Movie Stars Café and catch a movie over dinner; Roadhouse Manila Bay for awesome barbecue and ribs; Bikers’ Café, for a bite after your workout; Kang Ho Dong 678, for an authentic Korean dining experience; Uno Pizzeria to satiate your Italian food cravings; or Royal Indian Curry House for an authetic taste of India. 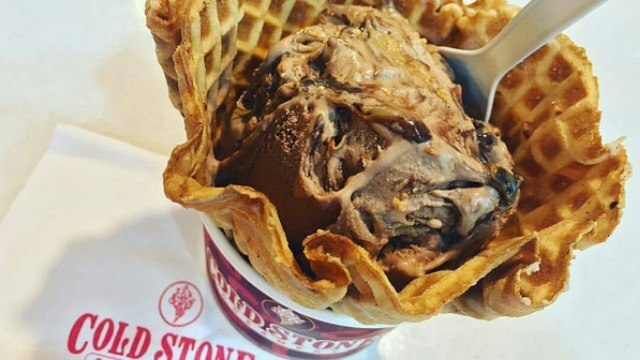 After all that, you can get a sweet ending at one of the many dessert places along the same row, such as Razons, Starbucks, Coldstone Creamery, Lizzy Latte, and Icerbergs. After all that eating, you'll definitely want to digest a little bit more, so enjoy the great Christmas setting, decor, and designs at SM By the Bay. 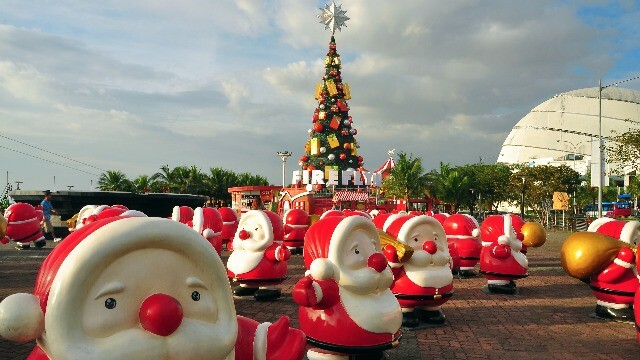 Take a selfie with hundreds of cute, 4-foot chubby Santa statues, or pose by the majestic 75-foot Christmas tree. See the lights, as the Christmas ambience comes to life with the whole stretch of SM By the Bay being lit up. And every Friday and Saturday at 7pm, celebrate with loved ones by watching the weekend fireworks display that's open to the public. This December, when everyone is around for the holidays, enjoy each other's company and give each other the best gift of all—food! And after that, revel in the spirit of Christmas in a unique way at SM By the Bay. For more information about SM By the Bay, click here. This article was created by Summit Storylabs in partnership with SM by the Bay.